This paper has analysed and established the basic mythic codes related tothe creation of the World, and in the process two basic codes that constitute the mythic foundation of creation have been emphasised: code no. 1 - primordial elements: air, water, fire/light, earth, soul and code no. 2 - movement. This is followed by an analysis of the mythic ideas about Man, and in this context it is interesting to mention that the process of cultural familiarization of his own body was/is experienced and was/is carried out through the forms of the everyday contacts with the outside world. Thus, the complex symbolic systems, in which the body is allocated the roles and the function of a medium, are created by means of two mutually linked relations:- the body as a unique entity, structure, micro-world, microcosm;- the World, the macro-world or the macrocosm, according to the parametersof the human body as a micro-world, or microcosm.The mythic beliefs related to the interpretation of the spatial structure of the Earth and the Cosmos contain the most archaic, initial codes of structuring human thought. Risteski, Ljupcho. 2018. “MYTHOLOGICAL MEANINGS OF COSMOLOGY AND ANTHROPOGONY IN MACEDONIAN FOLK CULTURE”. 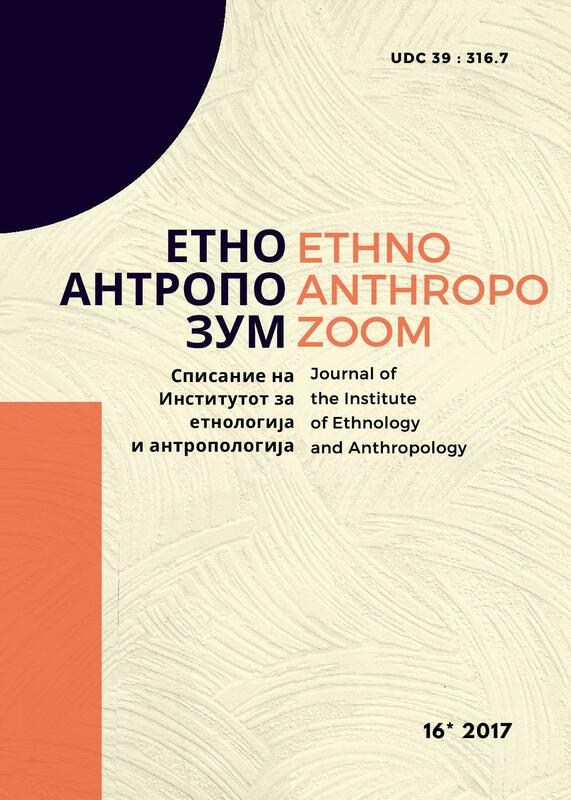 EthnoAnthropoZoom/ЕтноАнтропоЗум 16 (16), 73-115. http://etno.pmf.ukim.mk/index.php/eaz/article/view/396.